This is the kind of place where the bartender doesn't want to take your credit card when you start a tab, because she's concerned she might lose it. 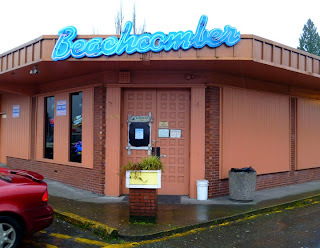 The Beachcomber is nowhere near a beach, and Cheryl the bartender has no idea why it is named that. Cheryl used to have an accounting business next door, and she started working there with the place was owned by "The Greek" (Mike Semandaris, the Mike of Mike's Chili in Ballard. Cheryl has been working at the Beachcomber for ten or eleven years, still helping out though her plan was to be retired. 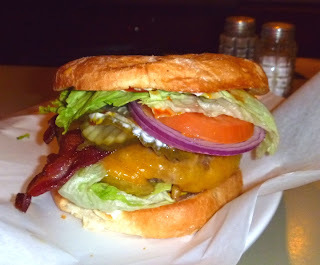 Around the corner from the cheap paneling walls and popcorn ceiling, Bert Harvey the owner makes massive burgers back in the kitchen. An elderly, school marmish lady nurses a drink at one end of the bar, three elderly aged white men drink at the other end, and three middle-aged black men sit near the fireplace in the back section. It's not clear whether the Beachcomber has benefited from the closing of Champs, just up the street, but Cheryl tells me that it attracted a bad crowd and the closure was a blessing for the neighborhood. 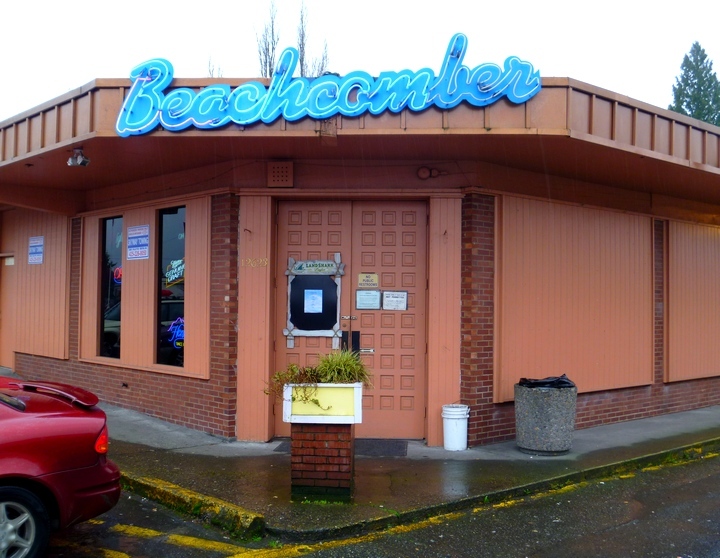 The Beachcomber, on the other hand, has been slinging beers since 1947 (although not in the current location for quite that long).